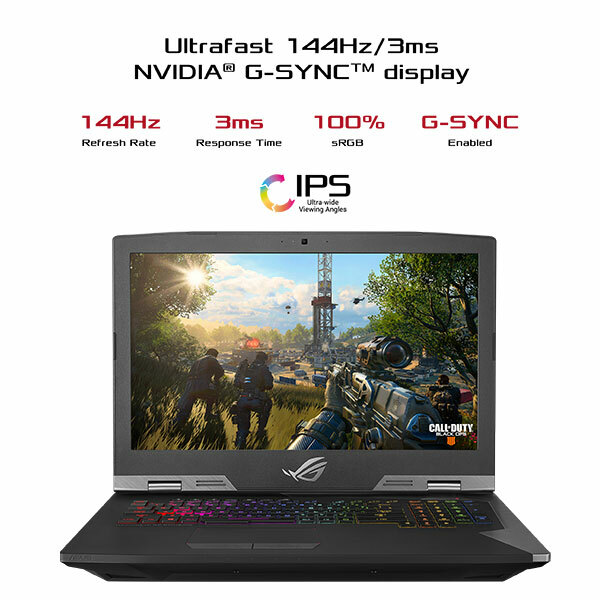 HyperDrive Extreme uses exclusive technology to combine up to three NVMe PCIe 3.0 x4 SSDs to provide G703 with the world’s fastest RAID 0 storage available in a gaming laptop — so your games load up faster. Having two out of the three SSDs directly connected to the CPU helps avoid DMI bottlenecks, allowing for speeds of up to 8700MB/s. * Intel 760p SSDs are required for the two CPU-attached slots for a RAID 0 setup comprising of three NVMe PCIe 3.0 x4 SSDs. The patented Anti-Dust Cooling (ADC) system enables G703 to clean itself of harmful dust and particles. Acting like an immune system, dust, dirt and other particles are ejected from the chassis through two dedicated tunnels via centrifugal force, preventing build-up in the thermal fins to increase system stability and lifespan. 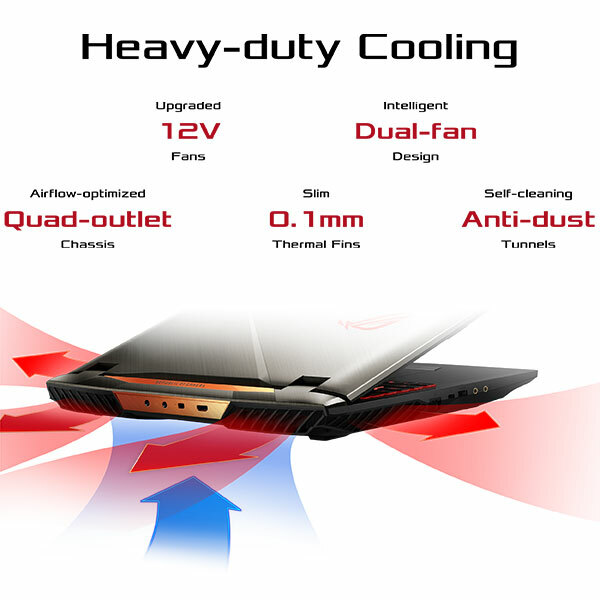 Two high-performance, dual-outlet fans blow air through ultra thin fins, while the unique heat-pipe architecture cools the CPU, GPU and chipset power components independently.